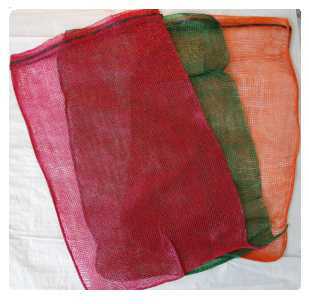 We carry a range of quality PP lenoweave net bags all with drawstrings. These have a variety of uses as log bags, onion bags and shellfish bags. Particularly suitable for firewood, sticks, kindling, oysters, mussels, scallops and have also been used in some filtering applications.